A 21st century classic, the Beat range has become synonymous with contemporary styled spaces. 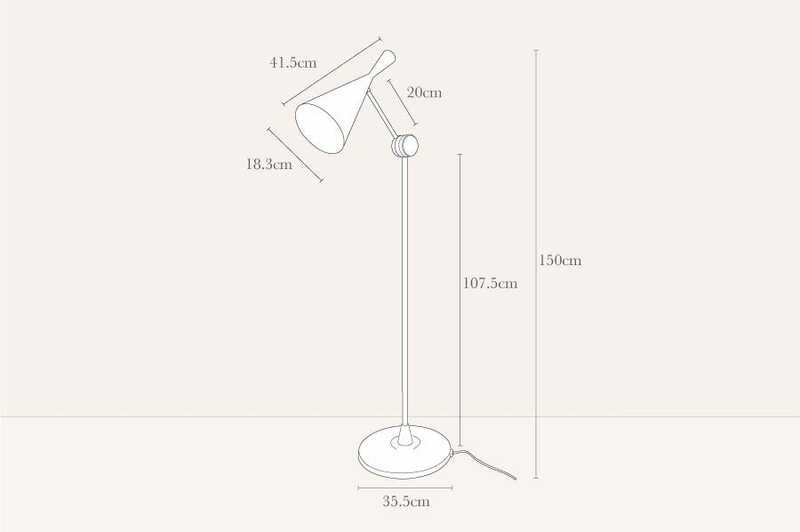 Taking the functional profile of traditional water vessels used throughout the Indian subcontinent, the sculptural simplicity of this modern floor lamp relies on the ancient craft of the regions metal workers. The item advertised included a light bulb, this was also stated on the contents leaflet. No light was included and I had to do a 6 mile round trip to find one. If this is incorrect then I should have been informed. The photographs do not show the extent of damage as... Read More. Base poorly cast. The photographs do not show the extent of damage as the base is black I cannnot get a good definition.Customer services did not seem to want to consider the level of damage on such an icon piece of lighting.I felt customer services did not believe me. Splendid, exactly as we expected it, we love our new lamp.